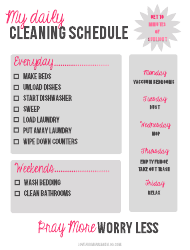 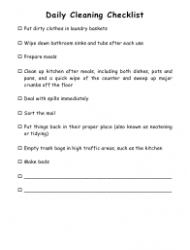 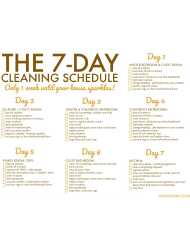 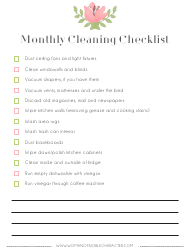 Download this single-page cleaning schedule to keep track of the tidying up that needs to be done before you can leave a rented house or apartment. 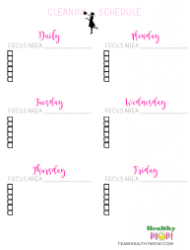 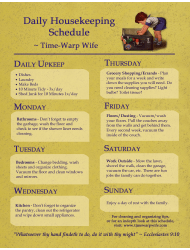 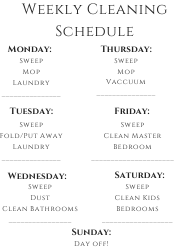 This daily housekeeping schedule features a list of daily upkeep tasks and lists the chores that need to be done on specific days of the week. 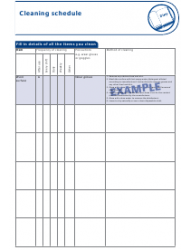 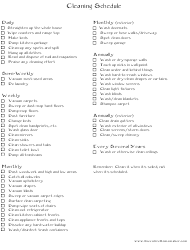 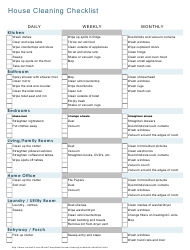 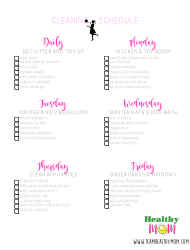 This template lists all household chores that need to be done on a daily, weekly and monthly basis to keep your home tidy. 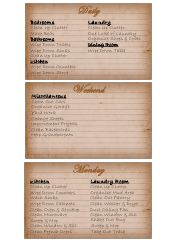 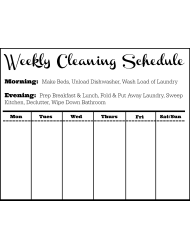 Use this sample weekly schedule to keep track of the laundry that needs to be washed from Monday to Saturday. 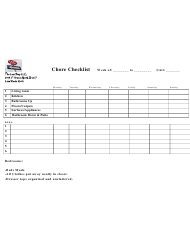 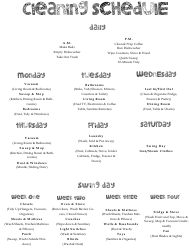 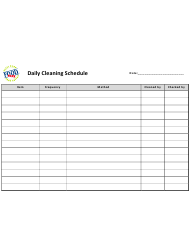 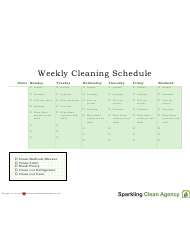 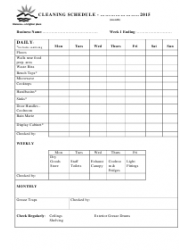 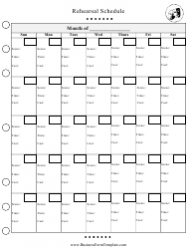 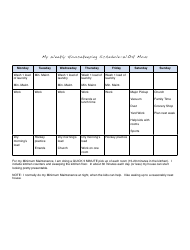 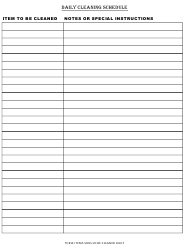 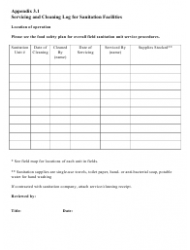 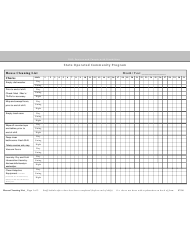 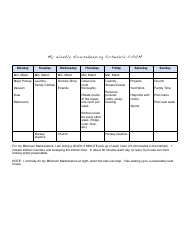 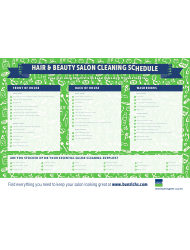 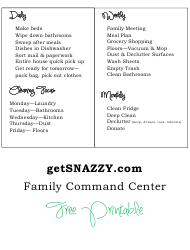 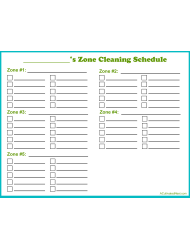 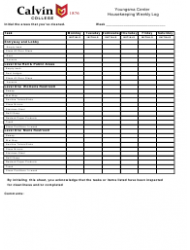 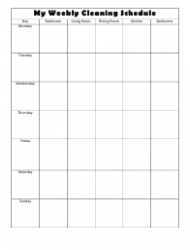 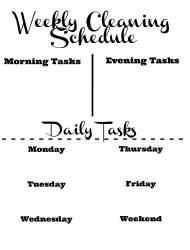 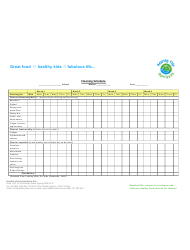 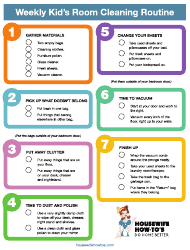 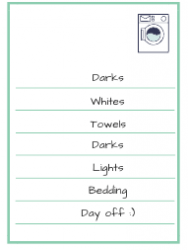 Weekly Cleaning Schedule Template - Healthy Kids Association Inc.